Bed bugs infestation is a really annoying, frustrating problem. Although these insects seem to attack throughout the year, they are more active during summer when it is warmer. Many chemical pesticides can help to control the bed bugs. However, most of the chemicals may result in nightmarish when they come in conduct with the skin or when ingested. To eradicate bed bugs without any side effect, diatomaceous earth is the right solution. Check out some effective treatments for bed bugs here. 1 So how does diatomaceous earth kill bedbugs? So how does diatomaceous earth kill bedbugs? Diatomaceous earth helps with proper bed bug treatment. They originate from single-celled organism known as diatoms and are mind from fossilised sediments from oceans, rivers, lakes and streams. It is made up of 90% silica, about 3% alumina with a small amount of iron-oxide. Although the compounds are featured in 150 products ranging from makeup to beverages, its main purpose is to naturally and effectively control harmful insects such as bed bugs. When it come in contact with the insect, the microscopic particles make their way into the cuticle of the bed bugs exoskeleton. This destructive action helps to dehydrate the insect and help to destroy the insect. Although using diatomaceous earth is quite straightforward, for proper elimination you need to adopt some tips that assist to ensure that all bed bugs are eliminated. 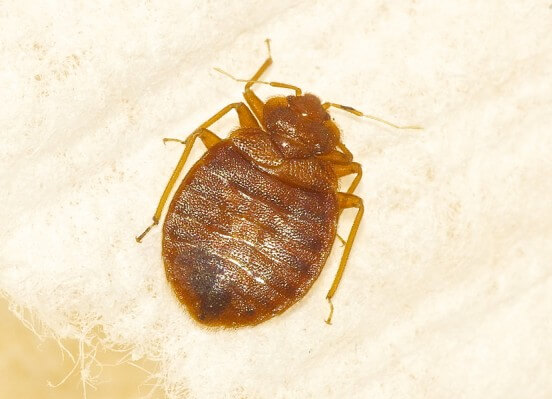 Note that, although they are natural bed bugs killer and are generally safe, it can cause irritation when they come in contact with the skin or inhaled. Therefore, while using this natural killer, remember to wear a face masks, goggle and gloves whenever you handling the product. One of the most critical things to note while applying diatomaceous earth is ensuring that you reach all places that are affected by the bed begs. Apply in all areas around your room even where bed bugs have not been seen. Remover covers of electrical sockets and pour dust within each outlet. Apply to all parts of the furniture including the underneath of the furniture and interior spaces of the furniture. For diatomaceous earth exterminate bedbugs effectively, you need to use the rule of thumb to apply the liberal dusting around the borders of your room, furniture, among other items in the house. Although, applying too much of the diatomaceous earth will not bring any site effect, wasting the DE can be costly. The main recommended way of applying the DE includes vacuuming them every few days. You may need to leave the DE alone for up to five days before applying a second coat as precaution. If you still see some bed bugs after the second application go on applying the diatomaceous earth after five every five consecutive days. Does diatomaceous earth kill bed bugs? Hopefully this article has helped answer your questions, but before you go, here are just a few final things to consider. Make sure that you keep air circulation at a minimum to prevent any blowing away of the DE. While the ceiling fan may now affect the functionality of the application, too much application airflow near the application can render the DE ineffective. You can also apply the treatment to the mattress to kill any bed bugs around the mattress. Sprinkle the DE dust all over the mattress and sealed it with a cover. Make sure that you keep the mattress sealed for at least one month to make sure that all nymph bed bugs are fully eradicated. Read this article for the best bed bug treatments.